Morgan James Publishing, 9781630477080, 270pp. 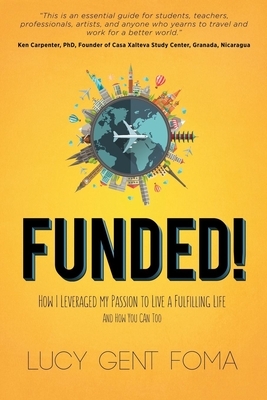 Do you wish you could fund your passions to work in your community, travel abroad, or research your field of interest? Fellowships may be your ticket to a fulfilling livelihood, and the trick is to know how to research, prepare, and apply for them. Funded shares Lucy Gent Foma's and other successful fellowship recipients winning advice and application materials. With step-by-step chapters and worksheets, by the end of this book you ll be prepared to navigate the scholarship application process yourself. Lucy Gent Foma, a Smith College graduate, received over a quarter of a million dollars in fellowship, scholarship, and grant awards, including a Fulbright Fellowship and a Rotary Scholarship. She worked as a microfinance fellow and environmental studies teacher in Cameroon, researched traditional dance in Senegal, has traveled the world, and graduated with her master's degree from Cornell University. . . debt-free. Now she wants to share her secrets with you.